Sahra, Chris, and their two sons had been living with Chris’s mother in her one-bedroom apartment in Oceanside for several months when they both lost their jobs. 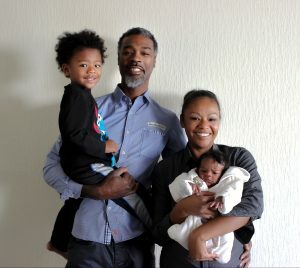 They had recently moved to the San Diego area from Northern California and Sahra was pregnant with their third child. The apartment proved to be too small for their family of five – soon to be six – and they moved into a local motel. After draining their savings by renting a room, they were forced to have their growing family live out of their car while they figured out their next steps. 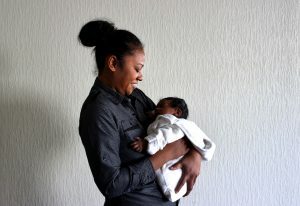 Sahra and Chris needed help and they needed it fast – especially with a newborn on the way. Fortunately, Chris’ mother had recently heard about Interfaith from a friend, and their road to finding a permanent home began. Sahra and Chris were immediately connected to a Housing Specialist at Interfaith and as a team, began searching for a place for their family to live. “They were extremely grateful for any help they received,” said Katie, Sahra and Chris’ Housing Specialist. “They are genuinely nice people who just needed help getting back on their feet”. Interfaith’s employment programs also assisted Chris in finding a construction job in San Diego, allowing Sahra the time to focus on apartment hunting. 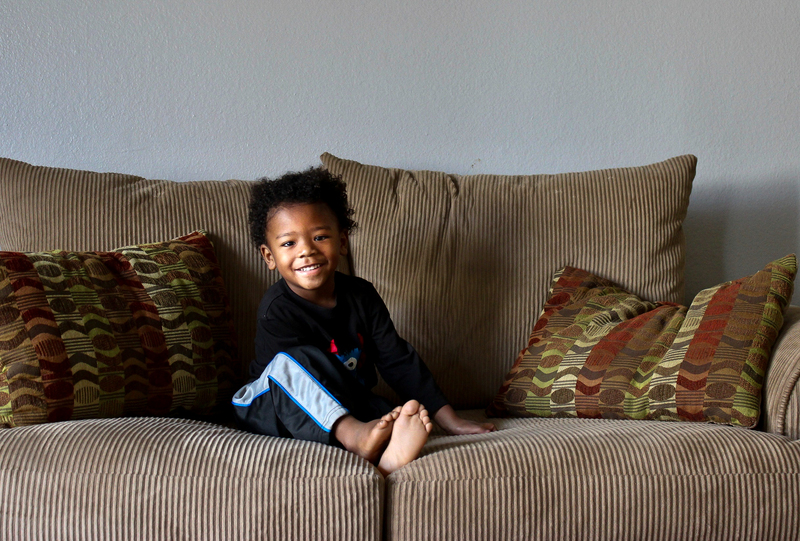 With Interfaith’s help, Sahra soon found a two-bedroom apartment in El Cajon and the family was able to move in during September 2017 – one month before Sahra gave birth to their third child, an adorable baby boy. Shortly after giving birth to her third son, Sahra began her career as a CNA, and is proud to share that today, both she and Chris have stable jobs with balanced schedules, allowing them to work and take care of their three sons. To learn more about Interfaith’s Housing 1000 campaign, please contact Robert Adams, Chief Development Officer, at radams@interfaithservices.org or by calling (760) 489-6380 ext. 206.